Tamarindo Beach is a tourist model thanks in part to Las Baulas Marine National Park, one of the most beautiful sceneries of the Province of Guanacaste. The waters of this beach come from Tamarindo Bay, which is a well-known spot for its crystal-clear waters and its beautiful and diverse marine ecosystems. Its marine beauty will amaze you; there, you can practice some water sports like diving or snorkeling, but surf is the king sport. There are other sports that you can practice by the shoreline without having to get wet, such as yoga, pilates, etc. 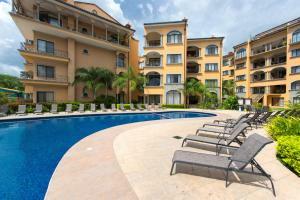 Tamarindo Beach has lots of good points: the beach, restaurants, and hotels are easily accessible. 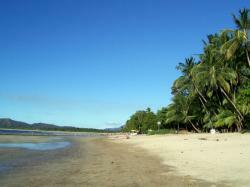 In addition, this beach also offers a wide range of leisure options such as bars and discos. Playa Langosta and Playa Ventanas Beaches are located nearby, but the most popular spot around is Las Baulas Marine National Park, Guanacaste’s ecological model. Tamarindo. Province of Guanacaste, Costa Rica.